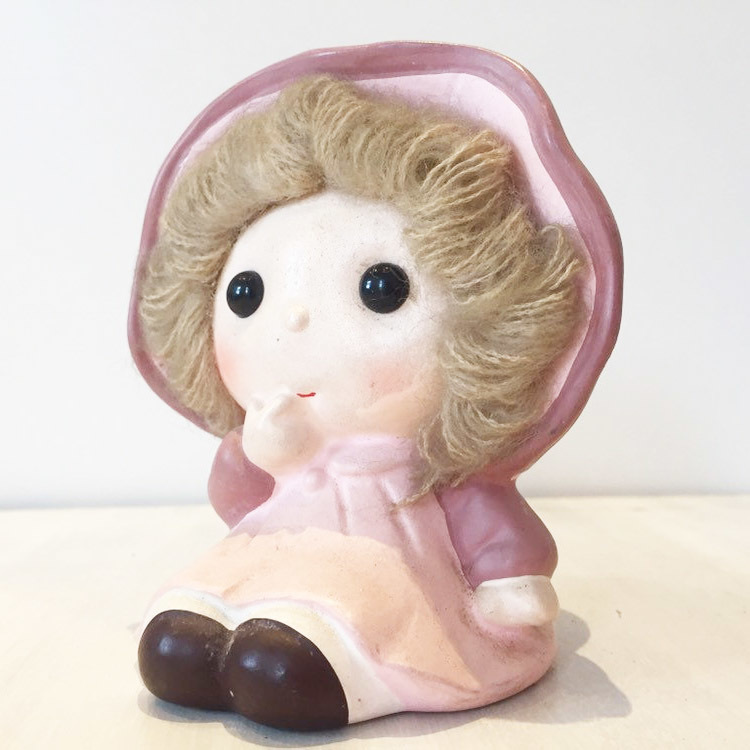 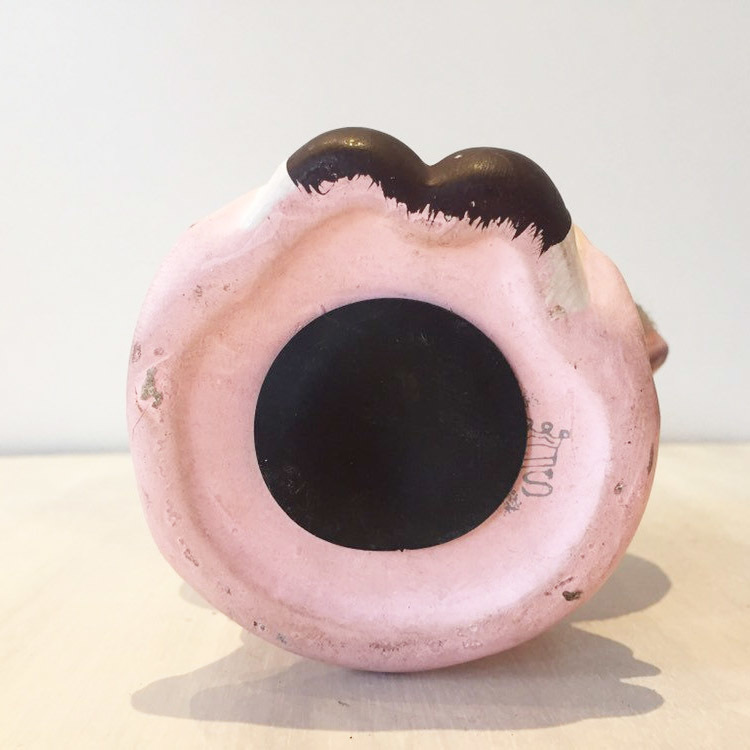 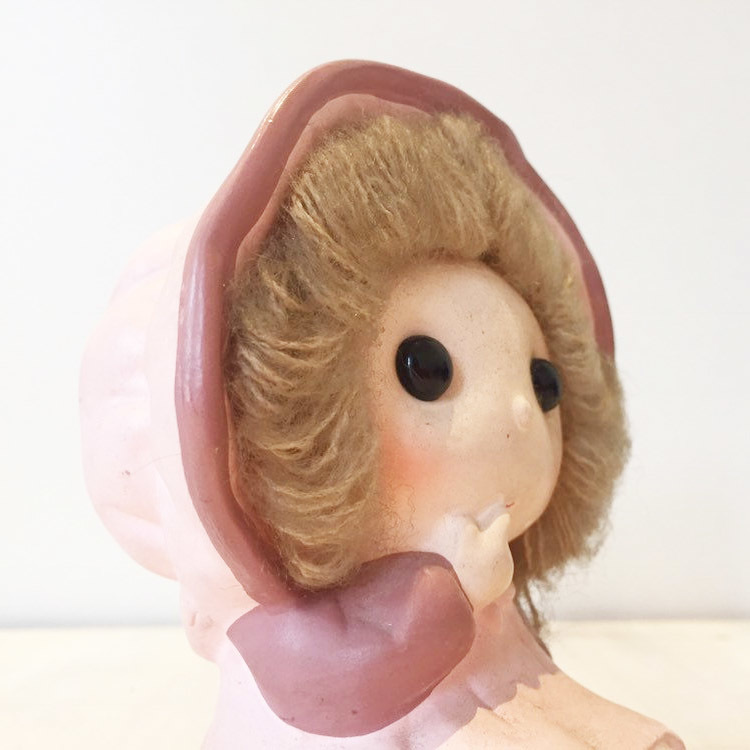 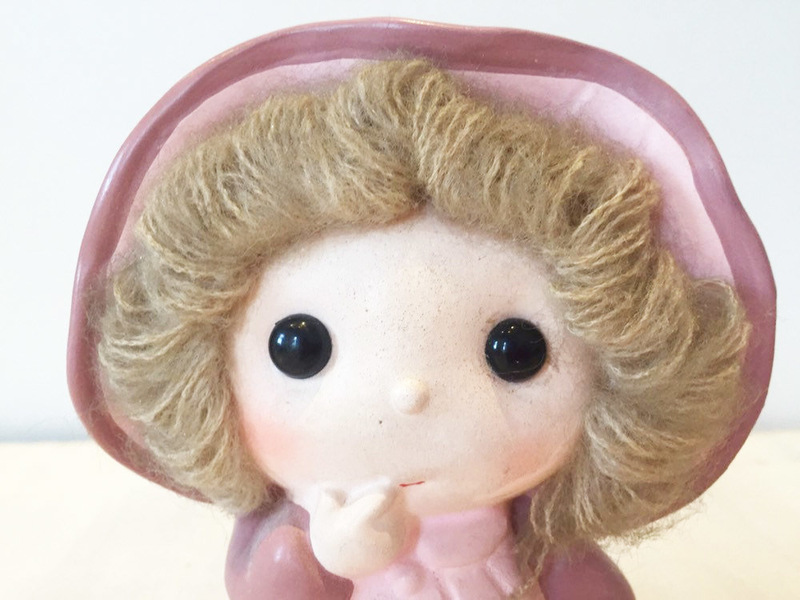 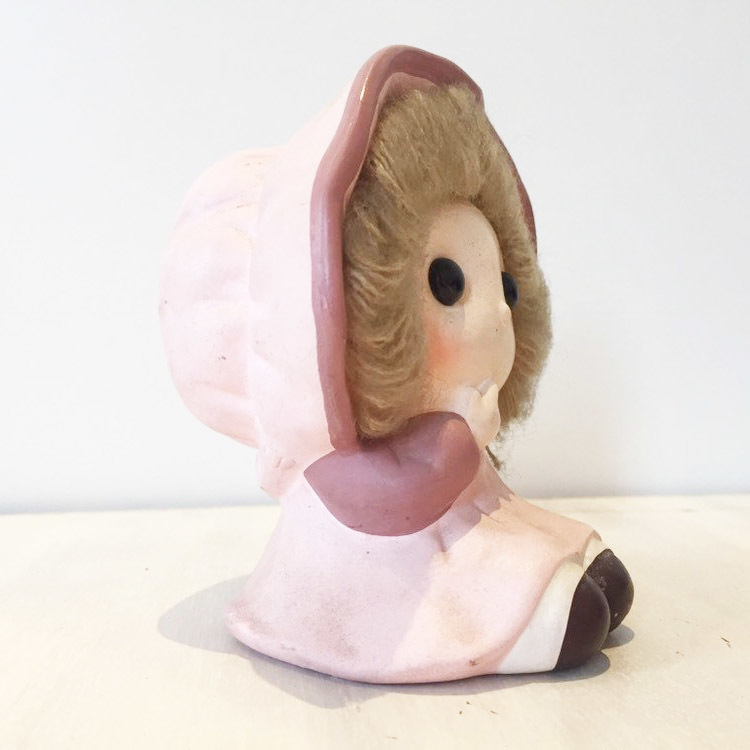 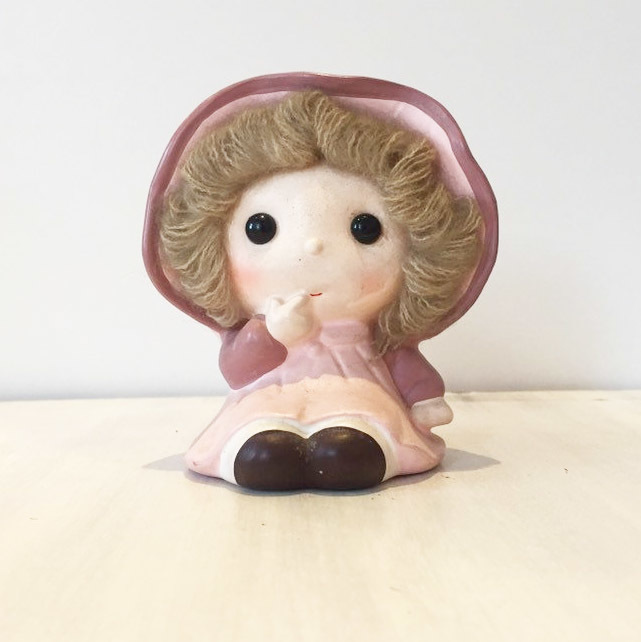 A miniature vintage cute little girl ceramic coin bank. 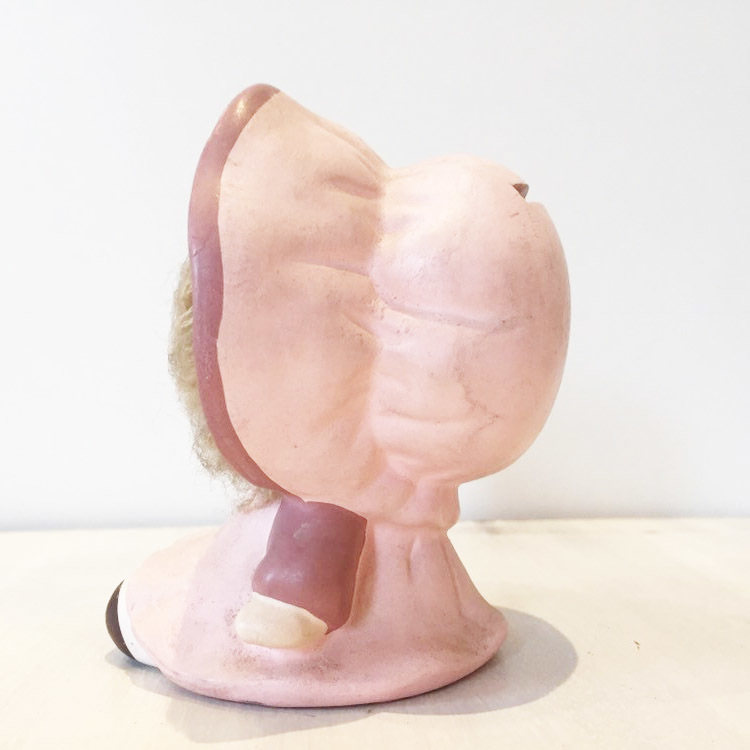 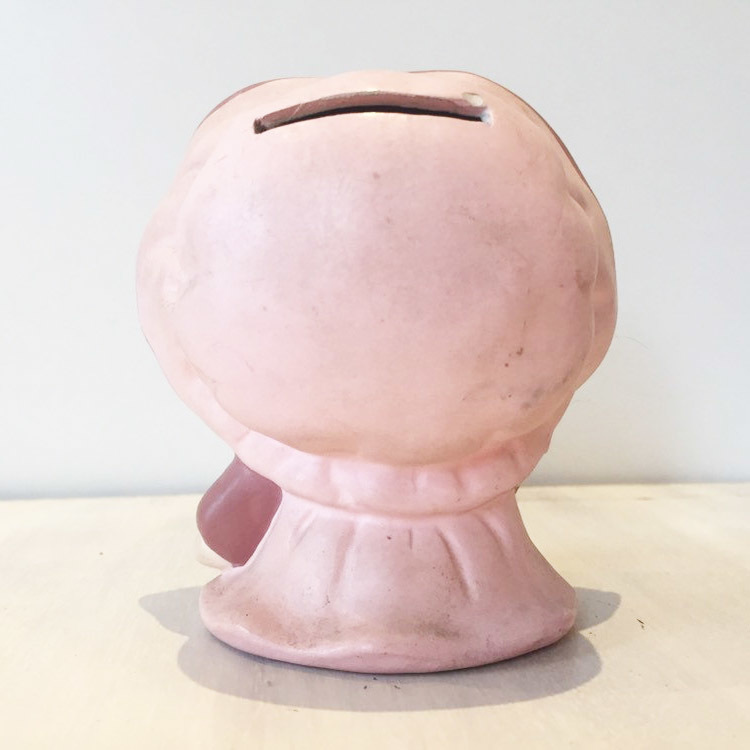 The bank is in great condition and has a S with a crown on the bottom and the stopper is tight. 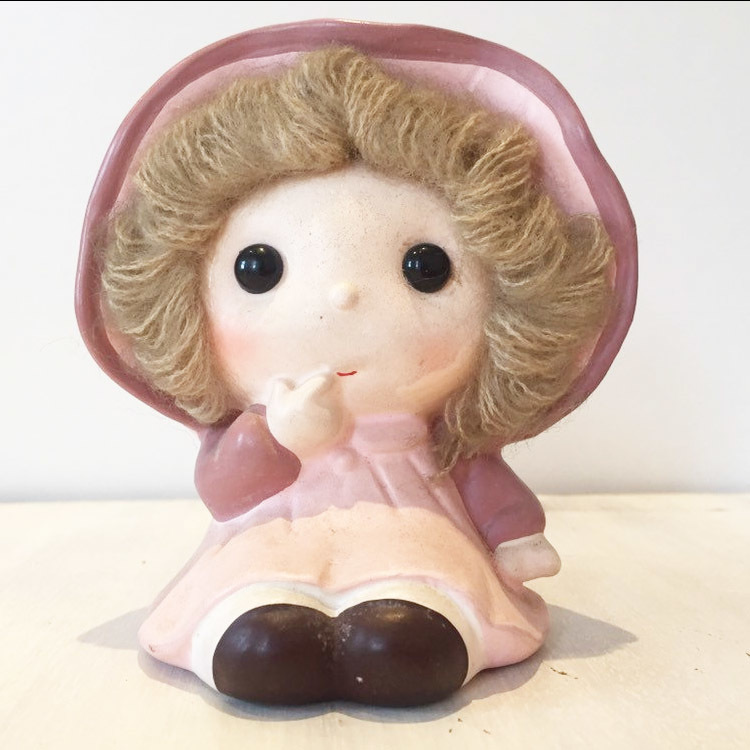 The money box measures approx 5" x 4.5" wide and 3.5" deep.